Microsoft has launched a phone called the Kin aimed at younger users and geared towards social networking. The software firm says the phones have been created specifically to help people who like to stay in touch with friends and share content. Fitted with a high-resolution camera, the phone is also the first to access Microsoft's Zune music service. The launch is designed to counter rivals such as Apple, Google and Research In Motion's Blackberry. Made by Sharp, the two Kin handsets will go on sale in the US in May. In Europe, the Kin models will be available on the Vodafone network and will be launched in Autumn 2010. No prices have yet been given. "This is a phone that knits together a tight community of kindred spirits..., the phone personifies true kinship between people, technology, friends and customers," said Robbie Bach, president of the entertainment and devices division at Microsoft. Both phones have a multi-touch screen and a slide-out keyboard. The home screen of the device is always on and shows the latest events, such as text messages, tweets, or shared images, happening among someone's group of friends. The phone has an area dubbed the "spot" on to which owners can drag content, such as videos, and then decide how to share it and who to share it with. The phone works with popular social network sites such as Facebook, Twitter and MySpace. Also, anything created on the phone is mirrored online and organised into a timeline and can be accessed from any web browser. "Social is the DNA of this phone," said Microsoft's Derek Snyder, one of the product marketing managers who worked on its development. "Social is the fabric of this experience." The Kin marks a departure for Microsoft which has typically offered its software to phone makers. With Kin it will have control over both hardware and software. 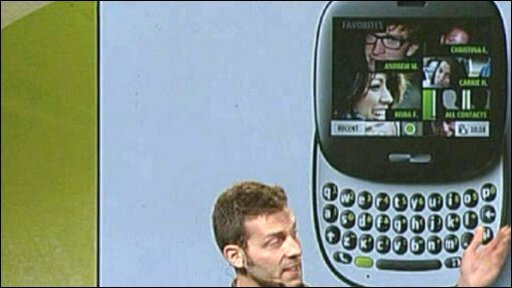 One question being asked after the launch was if Microsoft was coming too late to the feature-phone party. Blackberry maker Rim has a firm grip as the market leader for business smartphones and Apple's iPhone is the one to beat among consumers. "Sure, Microsoft has fallen behind in this space but there is a lot to like here," Van Baker, vice president of research at analyst group Gartner, told the BBC. "They are not deemed to be very competitive in the marketplace and deemed largely to be an enterprise play and this is their effort to get into the consumer space in a very good way," he said. "I think it is a good entry." Ina Fried, senior writer with CNET news, believes Microsoft is not trying to take on the iPhone. "This is a feature phone for the kinds of people that really want their phone as a way to stay in touch with the people they care about, the people who are on Facebook or Twitter all the time." But she questions whether the market for feature phones - pitched half way between a basic phone and a smartphone - will remain big. "Traditionally a lot of people didn't buy smartphones. But more and more of those people are buying their first Blackberry and iPhone. This is a big market today, but the question is, does it stay a big market?" According to research firm Canalys, Microsoft's software currently has about 9% of the smartphone market. That puts it fourth in the global market behind Symbian, Rim and Apple. In early 2010, Microsoft launched the latest version of its mobile phone operating system, called Windows Phone 7 series. It will replace Windows Mobile. 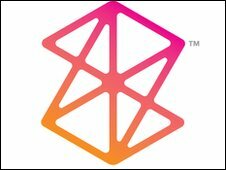 The next OS will integrate the company's other products including its Bing search engine, Zune media marketplace and Xbox Live video-game network. KIN.com - IT'S NICE TO MEET YOU.